... lilies! I have included a few pictures below. Love these to bits. Not entirely sure which specific flower/shrub they are (more on that after the pictures), but doesn't really matter what they are called: at the end of the day, these are beautiful perennials that add long-lasting visual interest both in spring and at the end of summer. There are two distinct genera that share similar behavior and appearance (to my unexpert eye and Google skillz, anyway). One - Amaryllis belladonna - is a native of South Africa, and a distant relative of conventional lilies (genus Lilium). 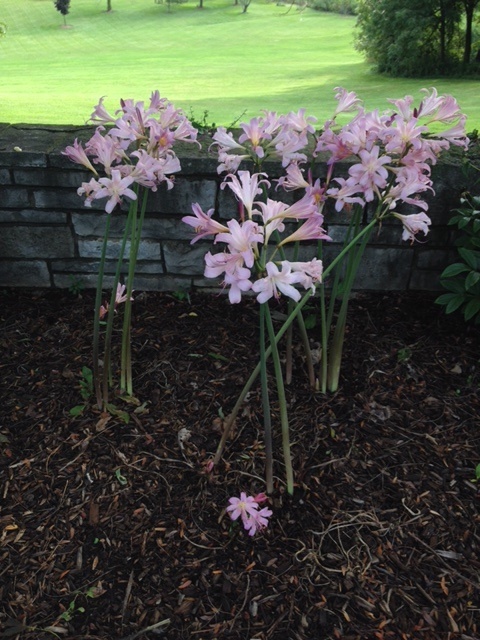 The other - Lycoris squamigera - originated in China or Japan. 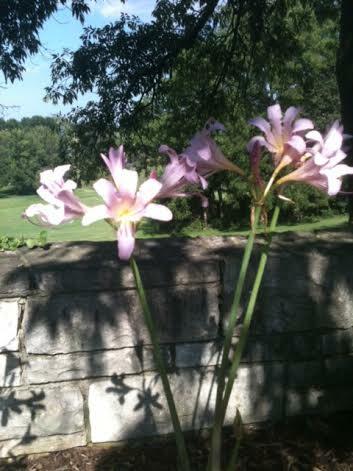 Both are variously referred to as "naked ladies," "magic lilies,"or "resurrection lilies." These names arise from the bi-seasonal nature of the plant's cycle. 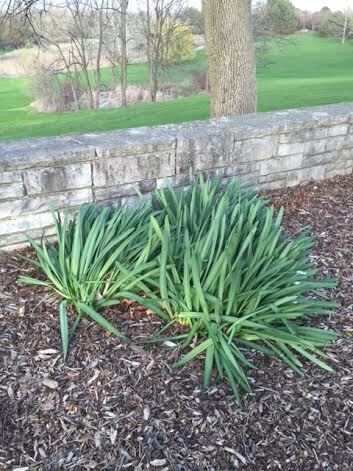 In early spring, dark green, flat leaves emerge from the ground. They form a shrub-like clump, lasting for several weeks to longer than a month soaking up all the rich spring goodness to feed the buried bulb(s) before dying back. The growth essentially disappears during the height of summer, only to sprout shockingly fast-growing, tall, elegant stalks topped with clusters of shimmery, iridescent lily-type flowers in late summer. 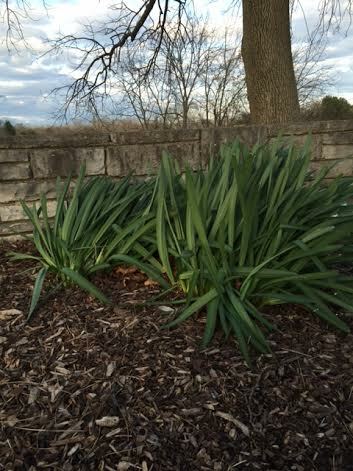 These are hardy plants that withstand -20F winters. 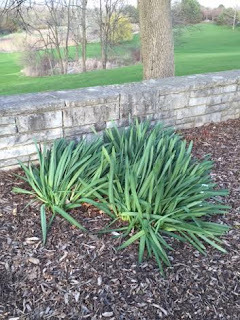 They also don't get so much as sniffed at by the deer - and we have dumb, dumb deer that eat everything they are not supposed to even like, including bulbs from Lilium-genus lilies. Moreover, the bulbs transplant well, making this showstopper a versatile addition to any garden. Love!